Shared Transfer Liberia Airport to Papagayo Area. 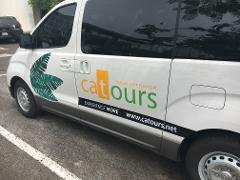 Use this transfer for: Riu Guanacaste, Riu Palace, Andaz Papagayo, Mangroove Hotel, Secrets Papagayo, Four Seasons, Planet Hollywood Hotel, Occidental Grand Papagayo, Villas Sol Hotel and near by hotels. 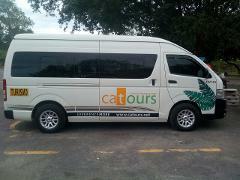 Shared Transfer Liberia Airport to Tamarindo Beach Area. Please use this transfer for: Westin Playa Conchal, The W Costa Rica, Hacienda Pinilla, JW Marriott, Las Catalinas, Cala Luna, Splendor Tamarindo, Tamarindo Diria Hotel, Margaritaville Beach Hotel, Occidental Tamarindo and near by hotels. 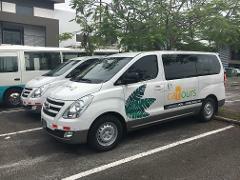 Shared Transfer Liberia Airport to Dreams Las Mareas. Pick up at Liberia Airport and transfer to your hotel. Meet and greet at Liberia Airport and transfer to your hotel in Arenal. Private Transfer Liberia Airport to Papagayo Area for 1 to 4 passengers. Private Transfer Liberia Airport to Papagayo Area for 5 to 8 passengers. Private Transfer Liberia Airport to Tamarindo Beach Area for 1 to 4 passengers . Private Transfer Liberia Airport to Tamarindo Beach Area for 5 to 8 passengers . Private Transfer Liberia Airport to Dreams Las Mareas 1-4 Passengers. Private Transfer Liberia Airport to Arenal Area 1 to 4 passengers. Private Transfer Liberia Airport to Arenal Area 5 to 8 passengers. Private Transfer Liberia Airport to Dreams Las Mareas 5-8 Passengers. Pick up at hotel lobby for your transfer to Liberia Airport. Private Transfer Papagayo Area to Liberia Airport for 1 to 4 passengers. Private Transfer Papagayo Area to Liberia Airport for 5 to 8 passengers. Private Transfer Tamarindo Beach Area to Liberia Airport for 1 to 4passengers . Private Transfer Tamarindo Beach Area to Liberia Airport for 5 to 8 passengers . Pick up at Dreams Las Mareas and transfer to Liberia Airport.. Private Transfer Dreams Las Mareas to Liberia Airport for 5-8 Passengers.